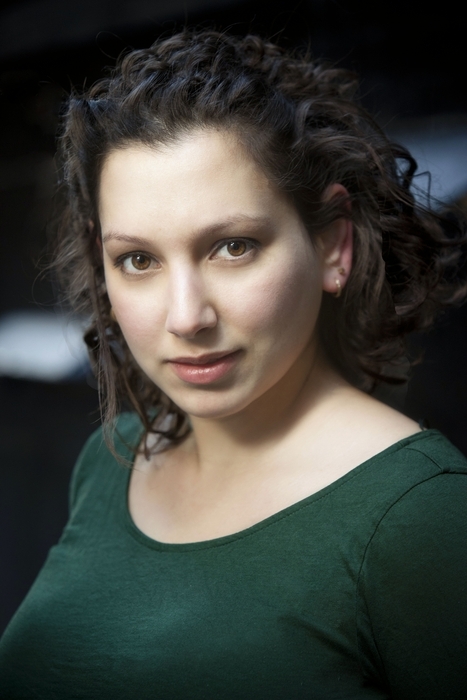 Yael Grinberg is a New York actress/playwright who creates her art from a spiritual center. Her newest piece, HOW TO SAVE A WORLD?, currently playing in New York, is a clever examination of human interaction and moral consequences. Readers who remember my LET US NERD article on Sarah Seeds will note how much I appreciate artists using their work to engage in global communication, and HOW TO SAVE A WORLD succeeds in that regard. I first met Ms. Grinberg this past June, when she announced her plan to me of launching a show by the end of the year. I advised her to not fall into the trap many actors do when developing solo shows of simply telling their life story, which may be very interesting, but often comes off as self-indulgent. Fortunately, she already agreed with me and had a very different plan. Five months later, HOW TO SAVE A WORLD? is playing to a sold-out crowd in a Manhattan theater. That is an accomplishment that I can honestly say I have never seen any actor successfully pull off! Nor is the play the vanity-project that I feared a potential solo show could be. Instead it’s an anthology piece, consisting of six interconnected vignettes, each dealing with themes of spiritual growth, communication, choices, and societal improvement. Ms. Grinberg conceived of the story (or stories) during her travels to Cuba earlier this year, and she is one of six actors in the play’s ensemble cast. At only 45 minutes, I did feel that the play was not quite finished and is still in development, both in its writing and presentation. Some characters wander in and out without resolution, and some hefty topics that hold tremendous political baggage, such as the Israeli conflict and Che Guevara, are introduced and not fully explored (none of the actors actually pronounce Guevara’s name correctly). The play climaxes with a dance between Ms. Grinberg and James Venable that feels awkwardly blocked and stilted, considering we are told that both these characters are supposed to have studied dance for many years. I felt that, with the addition of some professional choreography, this could be a much stronger, heartfelt dance that would serve as a catharsis to all the conflict built over the play, and so I was pleasantly surprised to discover that Ms. Grinberg plans to add a stronger musical element to the piece. I would love to see the piece extended and transformed into a Broadway musical. Israel is a very passionate subject for Ms. Grinberg, and a topic she strongly wishes to write about. But she realizes, as Tolstoy did before her, that war is not a state of politics but of the spirit, and this is where she finds her voice. On the positive side, the production in its current state is very solid, benefits from its use of minimal set design, and has a good ensemble, with Meurice Singletary giving the strongest performance. At the center of it all though is Yael Grinberg herself, serving as the play’s backbone and catalyst for all the narratives. Her character in some ways serves as a spiritual healer. With some further development, blocking, and choreography, HOW TO SAVE A WORLD? could really grow into something big, a play for the spirit, and convey its message to a larger audience, and, hey, maybe even save a world. 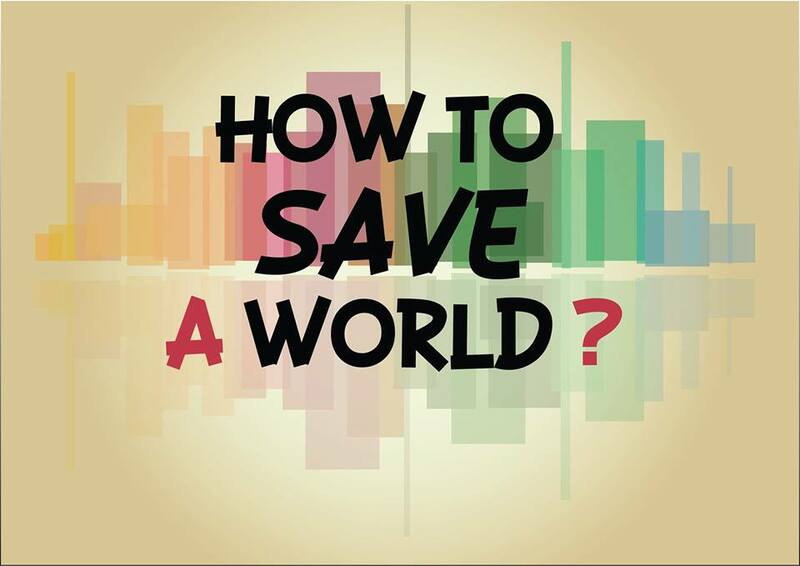 HOW TO SAVE A WORLD? is playing at the Under St. Marks Theatre, and will be performed again on November 17th and 26th. Tickets may be purchased here. Gabe Rodriguez is a regular blogger for LET US NERD and occasional contributor for INNER VIBRATIONS magazine.